I’m reaching out to everyone to let you know about the new enhanced iBook edition of the 20th anniversary of the first publication of Game of Thrones. This luscious digital edition will host some amazing features brought to us by the fabulous folks at Apple. It's now officially available exclusively on iBooks. Click HERE to see the glory. A GAME OF THRONES: ENHANCED EDITION is available exclusively on iBooks in the U.S. and Canada. Enhanced Editions of Books 2-5 in George R. R. Martin’s A Song of Ice and Fire series are available for pre-order. We hope you love all the great features as much as we Minions do! Any chance of a release for Android? Please let us know if this will be available outside of Apple's walled garden! I think you meant "luscious". Unless your books are drunkards. That link to apples site just goes to the corporate front page, is it broken? How about The Armageddon Rag? How about an enhanced version of The Armageddon Rag? All of the music is already on iTunes. You just need to bundle the music and the books together. Whoever owns each song gets their slice of the pie, and you get yours for the text. Re: How about The Armageddon Rag? All of the music in the chapter headings, maybe... but you'd need the Nazgul music too, and that does not exist except in our imaginations. There are also a handful of other "real" songs mentioned in the text. I have to admit that I initially found the book very difficult to get into, but once I started listening to the song for each chapter heading, I fell into the story pretty quickly. I'd occasionally stop to listen to a song mentioned in the text, but it didn't really break the "flow" of my reading. And it made the Nazgul MUCH easier for me to imagine, both visually and acoustically. I ended up making my own "Armageddon Rag Playlist" on iTunes, and I would just click over for each song as it came up in the text, so I sort of created my own clunky "multimedia version" of the book. Repeating what others have said: Hope it will eventually be available to other ebook stores. 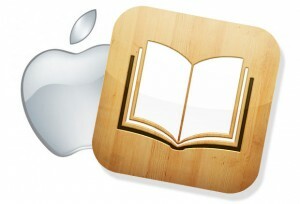 I love the books, but hate apple and their products. What about an android version?